Foreign Minister Shah Mahmood Qureshi said on Sunday that the present government is committed to stabilize peace and tranquility in the country and in rooting out the scourge of terrorism. During his visit to the constituency NA-157 Multan, he talked to media, and said that said previous governments did not implement the National Action Plan (NAP) properly to eradicate terrorism. However, he said, the incumbent government would implement the NAP in letter and spirit and is in touch with the opposition in this regard. 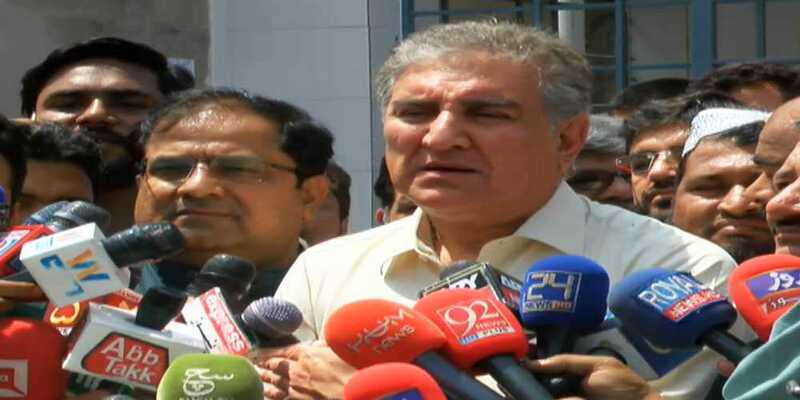 “PTI government is heading in right line of direction and will successfully complete the constitutional term,” said Qureshi, “The journey of change has begun in the country as looters are being held accountable.” He added.